This Lanart Rug City Sheen area rug infuses contemporary style into any room in your home. Complete your home's contemporary design with this indoor rug made of plush synthetic material. This rug is a great example of interior design that lasts. This piece has a great pattern for a contemporary home. 3 month warranty on edge finishing and 1 year warranty on carpet defects. Call 1-888-811-4843 for more information. Interior design is easy when you add this high quality Artistic Weavers Alberni area rug to your home. Bring this high quality plush synthetic indoor rug into your home to upgrade your interior design immensely. This rug is hand-made for convenience and quality combined. Add this solid patterned grey rug to the decor of your home for a contemporary infusion. This modern Artistic Weavers Amanda area rug will instantly improve any room you place it in. This indoor rug made from plush wool material is both comfy and stylish. The machine-made construction of this area rug is sure to withstand wear and tear. Quality and style come first with this oriental patterned black rug. This Artistic Weavers Portico area rug is sure to add to the modern dicor of any home. Keep it classy, quality, and stylish with this indoor rug made from plush jute material. The hand-made construction of this area rug is sure to withstand wear and tear. Make a bold statement with this chevron patterned black rug. The contemporary look of this Artistic Weavers Vimeria area rug adds style to any room. Great quality is assured with this indoor piece made out of plush synthetic material. Its hand-made construction is sure to endure the constant treading of feet and furniture. This green rug has a fashionable solid pattern to add some flair into your home. 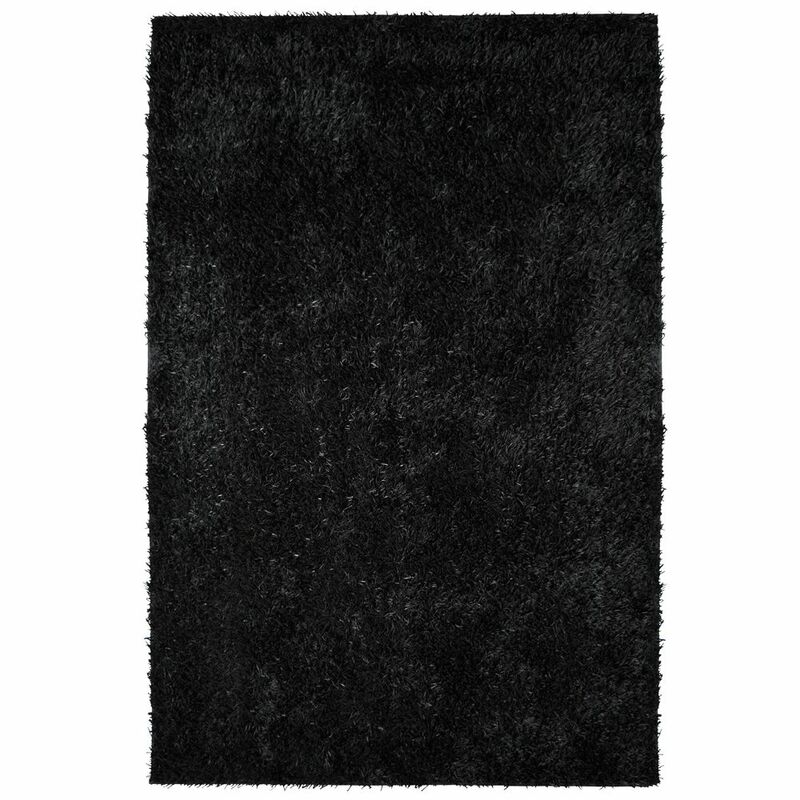 City Sheen Black 8 ft. x 10 ft. Indoor Shag Rectangular Area Rug This Lanart Rug City Sheen area rug infuses contemporary style into any room in your home. Complete your home's contemporary design with this indoor rug made of plush synthetic material. This rug is a great example of interior design that lasts. This piece has a great pattern for a contemporary home.